In my coaching practice, when I have my first meeting with clients, my first point of call is to ask about their dreams. This is one of the main reasons why my clients are achieving phenomenon results. What is the purpose of this? We process the world in three major ways; past, present, and future. Majority of people cannot just process the future, therefore, they stay in the past reviewing what could have been; this is what pre-occupy their days. Some people move between past and present intermittently. There are very few who are very much aware of the future and it is very clear to them. These people make long-term decision and work diligently to make it happen. It is pretty difficult to work for a future you cannot see clearly; this is why most people are distracted especially today. People are busy working hard but they just keep busy because they cannot bear boredom. These people major in minor things; paraphrasing Jim Rohn. 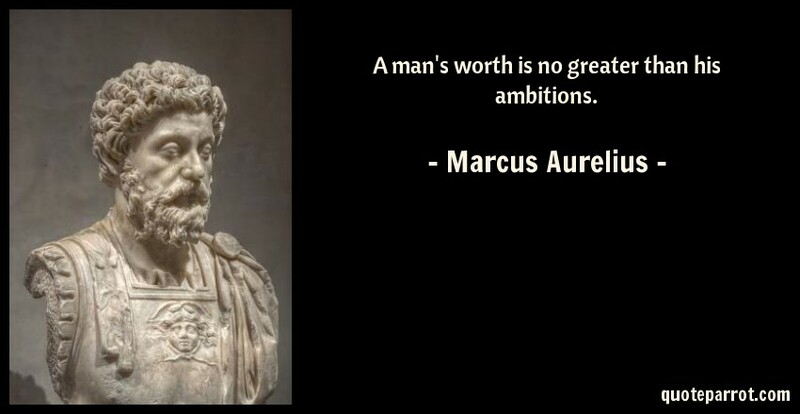 Aurelius’ quote above is quite insightful because you have to see the future clearly to be ambitious. So practice venturing into the future once in a while in your imagination or take yourself into the future to explore possibilities.